Shohei Otani(SP-LAA): The hurler moved to 2-0 after allowing one hit and one walk with 12 strikeouts over seven scoreless innings vs. the Athletics. 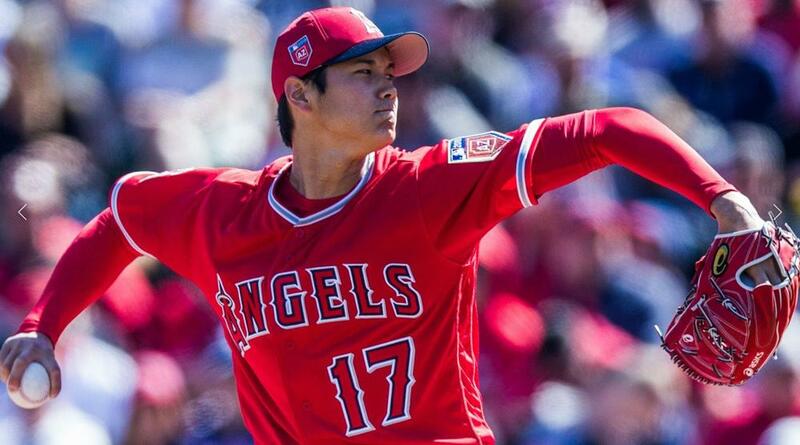 Ohtani retired 19 straight batters as he continues to impress after an abysmal spring. He now has a 18:2 K:BB ratio with three earned runs allowed over 13 innings, albeit all against the Athletics. While he has allowed some loud contact, Ohtani looks to be getting comfortable deploying a deep arsenal. The league will adjust, especially as he faces better teams, but he has ace upside and looks to be ahead of schedule in realizing it. I'd entertain offers in redrafts, but they'd have to be akin to a high-end number two starter. Reynaldo Lopez(SP-CHW): Lopez took the loss after allowing one run (no earned) on two hits and five walks with five strikeouts over seven innings vs. the Tigers. While Lopez has allowed only one earned run over his first 13 innings, he has also enjoyed a .103 BABIP and a 94 percent strand rate! With that being said, if he can limit the walks, Lopez will prove to be a must-start in all standard leagues, as he has displayed an ability to miss bats and induce weak contact on the ground. He's a streaming option for now, but still should be rostered in the majority of formats for his upside. Eduardo Rodriguez(SP-BOS): Rodriguez (knee) took a no-decision after allowing three runs on five hits (one homer) and two walks with seven strikeouts over 3.2 innings vs. the Rays in his return to the mound. Yes, ERod needed 92 pitches to record 11 outs, but, the fact that he recorded seven of those via the strikeout while inducing grounders 56 percent of the time is encouraging. There is significant risk that the lingering knee injury will flare up again, but as long as he's healthy and starting, Rodriguez, who posted a swinging strike rate north of 11 percent last season, should be rostered in the majority of standard formats. Yangervis Solarte(UTIL-TOR): Solarte went 2-for-2 with a run scored and two walks against the Rangers. Solarte posted a solid season in 2017 that went largely unnoticed due to his .258 BABIP and missing time due to injury. He joined in the launch angle revolution, lifting his fly ball rate from 37 percent to 42 percent, yet, he still maintained an 85 percent contact rate. He's seeing looks near the middle of the Jays lineup and looks locked in, so I'd have no issues rolling him out in 12-team leagues. He gets a boost in points formats, but still holds value in ROTO. Jacob Junis(SP-KC): While the righty was solid during his first stint with the Royals in 2017, he allowed hard contact 37 percent of the time. That he allowed hard contact only 22 percent of the time during his first start of 2018 is encouraging, as is the fact that he threw the sinker 32 percent of the time in his first start. The right-hander also pitched much better at home last season--.406 slugging vs. .469 on the road--and it is there where he draws the Mariners today, a team that has been hit by injuries to begin the campaign. For $7000, he makes for a solid SP2 today on DrafKings.